BEIJING — A rights group has urged New Zealand Prime Minister Jacinda Ardern to raise concerns about reported Chinese government abuses of Muslims during her upcoming visit to Beijing that was shortened after the killing of 50 worshippers at two mosques in New Zealand. 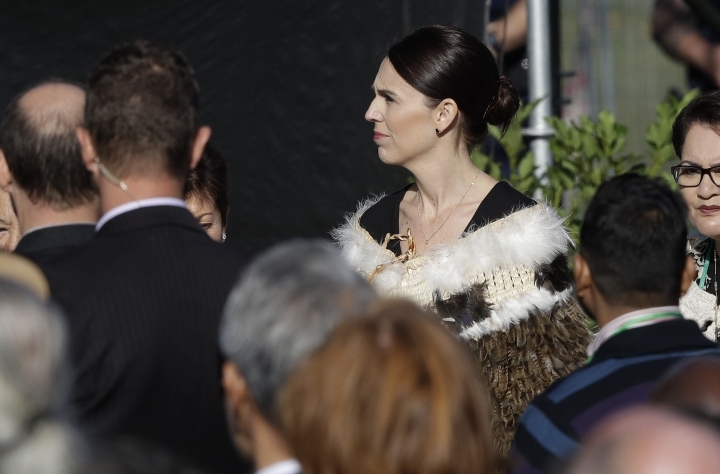 Human Rights Watch said Friday that Ardern "spoke forcefully in defense of Muslims' rights" after the Christchurch attacks and should do so again in Beijing. Human Rights Watch said Ardern should publicly call on Chinese leaders to close the camps, end the abuses, and permit independent, international observers' access to the Xinjiang region that is home to China's largest mainly Muslim minority group, the Uighurs. Other members of Muslim groups, including Kazakhs and the Hui, have also faced internment and other forms of repression. China has so far rejected calls for independent observers and after first denying the camps' existence, now says they are voluntary vocational training centers that provide job skills to ward off religious extremism. Relations between China and New Zealand have been strained after New Zealand's spy agency in November stopped mobile phone company Spark from using Huawei equipment in its planned 5G upgrade. The agency said the Chinese tech giant's equipment posed a "significant network security risk." That brought indications of economic retaliation from China, New Zealand's largest trading partner and a key customer for its dairy and other agricultural products. Ardern said last month that no final decision has been made on whether Huawei equipment can be used in the country's slated 5G network. New Zealand media quoted Ardern as saying that she couldn't justify extending her Chinese trip beyond Beijing because "We are still very much in an operational response to the terrorist attack and we are still making sure that we have the right care in place for those victims." On Wednesday, Secretary of State Mike Pompeo met with former inmates and family members, tweeting that he called on China to "end these counterproductive policies and release all arbitrarily detained." "The world cannot afford China's shameful hypocrisy toward Muslims. On one hand, China abuses more than a million Muslims at home, but on the other it protects violent Islamic terrorist groups from sanctions at the U.N.," Pompeo wrote, in a reference to China's repeated refusal to designate Masood Azhar, the head of Pakistan-based Jaish-e-Mohammad, as a terrorist.